8″ x 10″ Oil. The South Shore of Kauai has been experiencing a tremendous surf. I have been out painting at the ocean’s edge. 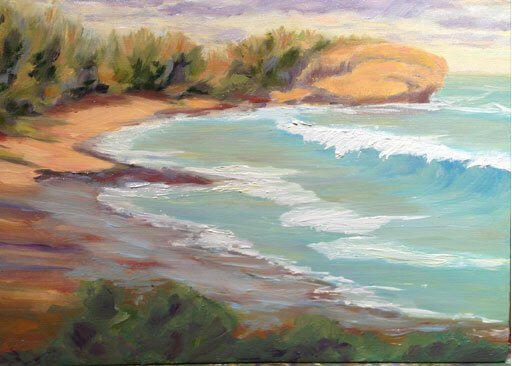 The pounding surf, blustery trade winds and the beautiful weather has made painting very joy filled. Here is my newest painting of Shipwreck Beach by the Hyatt. The oil painting is 8″ by 10″.